The first of the series cars, the GT and Sebring GT are difficult to nail down as far as yearly production numbers go. At this point in my research, I am reliant on John and Burt's 25 year-old memories as actual sales records of two and a half decades ago are not immediately available. The GTs and Sebring GTs were built from 75 to 77 Vettes. The Sebring body style was loosely based on the then-current race cars, but were decidedly narrower. 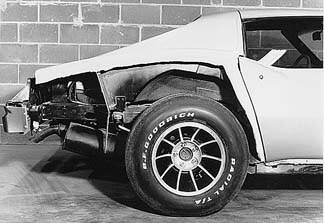 The front and rear fenders were widened from stock and vented at the trailing edges. The rear fenders were fairly flat sided - a cue taken from the 74 race car which had aerodynamic input from Randy Wittine and Zora Arkus-Duntov. The virtually vertical rear spoiler was a short stubby one molded into the fenders. 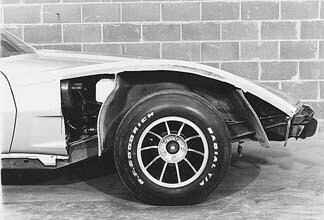 Reverse scoops were fitted to the gill openings behind the front wheels, supposedly as an aid in brake cooling, but in reality were more form than function. The hood remained stock on the GT models and the round aluminum Greenwood logo adorned the B-pillars. Later GTs were outfitted with the newer style sport mirrors, which became available in 77. The interiors were not altered unless by special request. The GT suspensions could be ordered in varying degrees of performance. With modifications made to the steering box, and installation of heavier rate springs, thicker sway bars and adjustable Gabriel shocks, cornering ability improved immensely over the stock Vettes. A lower center of gravity and wheelwell-filling rubber also contributed to the exceptional handling. Tires were BFG Radial T/As mounted on 10 American Racings Vector (10 spoke) wheels. Custom plastic center caps had the words Greenwood GT on them and were attached with machine screws to the wheels. Ordinarily no engine modifications were made, but some were at least ported and polished at the request of the owner. After grafting on the wider fenders and spoiler, the entire body was block sanded and ordinarily repainted the stock color. The resultant smoothness and finish was far superior to that of the stock. All these modifications would set the discriminating Corvette owner back about twice the price of a stock Corvette of the time - approximately $16,000. Two GT coupes, one black and one blue were built in Troy, Michigan at the Greenwood facility. Corvette dealer and racer Rick Mancuso commissioned 15 GTs to be built and sold through his Skokie, Illinois Chevrolet dealership. Some of these cars were constructed in Greenwoods new shop in Dearborn, Michigan, and some were farmed out to ACI in Sylvania, Ohio -- but all were designated as Sebring GTs. All were coupes except for one convertible specially built for Mancuso himself, which is white with a red interior, black soft top, white hardtop, and 4-speed transmission. It had changed hands a couple of times and currently is owned by Phil Root. Some of the Greenwood built GTs were not serialized but the Sebring GTs did have unique serial numbers. ...we had started the idea of a street car, the idea would keep coming up. We would talk about it on the phone. Wed say, Yeah, we ought to do it. Finally, one day we were talking and John said again that we really ought to do it. And I said, Yeah we really should. We both paused and said, You know weve been saying this for a couple of months. Whats it going to take to do it? John said to start hed need maybe a dozen cars. So I put an ad in an industry publication and paid out a lot of money for the Corvette we needed. I actually paid to within $300-$400 of their list price just to get them. We were originally going to show the car we called the Sebring GT at Sebring. But they werent ready. It was July 10 when the car finally made its debut. We had three cars. Our insistence on quality had been a big problem but it was our utmost consideration. So we delayed introduction until we were sure we had something that was just dynamite! We put so much of the racing technology into the Sebring GT that you would never know it was even related to a regular Corvette. Fifteen other GTs were built during and after the Mancuso Sebrings, terminating with serial number 30. Somewhere during the construction of the Sebrings, John Greenwood struck a deal with Bob Schuller of American Custom Industries in Toledo, OH to manufacture the body parts and assemble complete cars. ACI became World Headquarters for Greenwood Automotive as a production facility, but design projects remained in Dearborn. While ACI was producing the GTs, the Greenwoods were busy designing the prototype Turbo and Sportwagon. After a parting of the ways with ACI in 1979, Greenwood moved to Altamonte Springs, FL where development of the Daytona and GTO took place and a joint venture was struck with Ecklers of Titusville. The initial two GTs constructed at the Greenwoods shop had no identifying plaques to indicate the origin of the cars. To the unknowing, the GTs appeared to be primarily cosmetic in nature, but the real performance lay beneath the beautifully prepared fiberglass skin. They reflected the current state-of-the-art in aerodynamics as proven on the race track. Together with a ball bearing idler arm, tweaked steering box and 10" wide wheels, the GTs were excellent handlers. Add in the signature block-sanded and meticulously painted bodywork, and youve got a car that stood apart from the rest of the Corvette family both in visual appeal and performance. 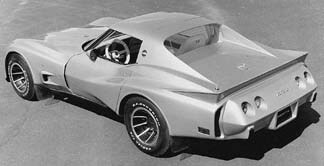 The idea of such a custom made Corvette was bandied about between John Greenwood and Rick Mancuso, a Chevrolet dealer in Chicago, who ultimately commissioned fifteen of the GTs to be built. Whether it was Ricks suggestion or not is unclear at this time, but the series was to be called the Sebring GT and each was to have a special plaque that denoted the year and serial number of the car. These plaques have appeared in various places on the car including the door jamb, dash and console. Although body kits could be bought and installed, such a kit car would look pretty much like the original. 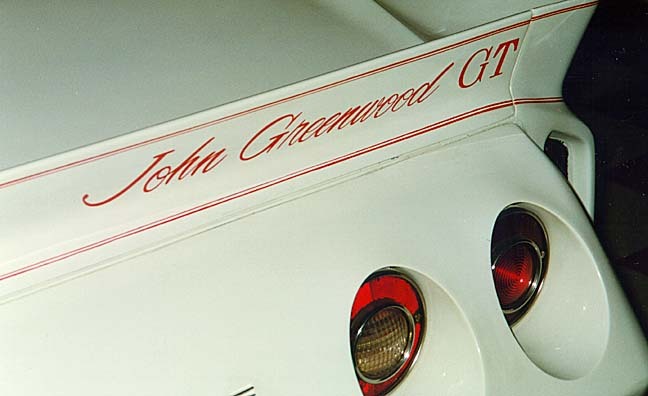 Other identifying trademarks include a handpainted John Greenwood GT signature across the back of the rear spoiler, and custom made hub caps. These caps were fabricated from plastic and were chrome plated with the words Greenwood GT circumnavigating the center cap. The center cap was a red, white and blue rectangular design. Another identifying feature of a true GT was the placement of a circular Greenwood logo on the B-pillar. 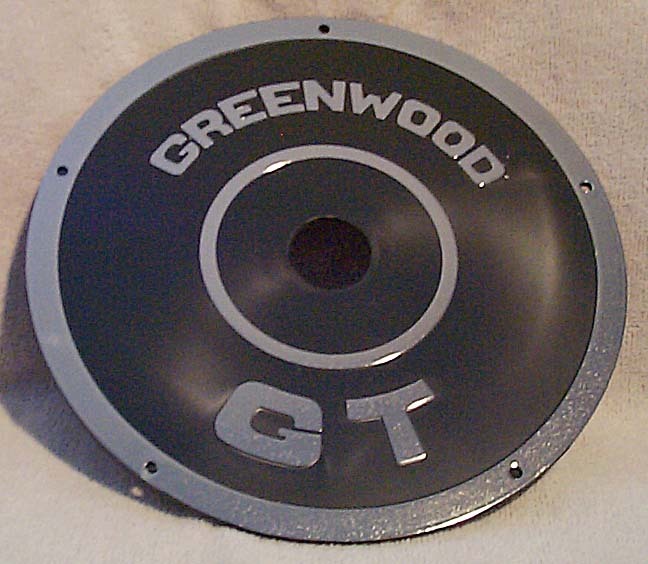 This emblem consisted of a machined aluminum disk, recessed to accommodate the trademarked Greenwood logo set in a black background. Although helpful in identifying an original car, but not necessarily unique, were the 10 inch wide American Racing Vector wheels that were pretty much standard equipment. With the passage of over twenty-five years, most Corvettes from the mid-seventies have been repainted (if at all driven). In the process, such items as emblems, plaques and logos could have been misplaced. Without these items and lack of original documentation, a true Sebring/GT could lose its identity, and in the process, several thousand dollars in value.